If you are looking for a reliable and experienced family doctor in Werribee area, you have come to the right place! Scheduling appointments is easy. Call us today or book online. The Doctors Werribee team specialises in both paediatric and adult patients. The doctors and staff at The Doctors Werribee are punctual, professional and compassionate. The health of you and your family will always be our primary concern. Our health care professionals and staff are committed to helping patients and their families clarify and coordinate their overall health care plan, to assess their health care choices, and to provide a home for their medical care. Our doctors and staff always strive to deliver compassionate patient care in a family friendly atmosphere. To keep you healthy, we focus on preventative medicine and education. Our goal is to help you reach and maintain your optimal health. We are proud to provide health care for all ages. We are located on 88 Cottrell Street, Werribee VIC 3030. Our opening hours are Monday to Friday from 9am to 8pm and Saturday from 1pm to 5pm. We are closed on Sundays and public holidays. Accessibility via public transport If you’re travelling by bus, you would be able to reach the clinic using the routes, 181, 190, 191, 192. If you are coming by train you would need to take the Werribee line and afterwards, either a quick walk or a bus on the above routes would bring you to the clinic. You can find the most suitable route on Public Transport Victoria website. 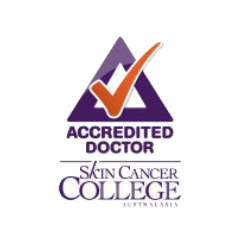 Dr Chamira Ranatunga is the General Practitioner at The Doctors Werribee. Originally from Sri Lanka, Dr Chamira have lived in Pakistan and New Zealand before settling in Australia. He speaks fluent English, Sinhalese, Hindi and Urdu. Dr Chamira has worked in the areas of Gastrointestinal Surgery, General Surgery, Urology and Older People Health Medicine including Rehabilitation Medicine. His special area of interest is in Skin Cancer Surgery and Dermoscopy.